We are delighted to report that Venture Intelligence has ranked NovoJuris at number 3, amongst the most active legal counsellors in India, in Private Equity. We were ranked 6th last year. 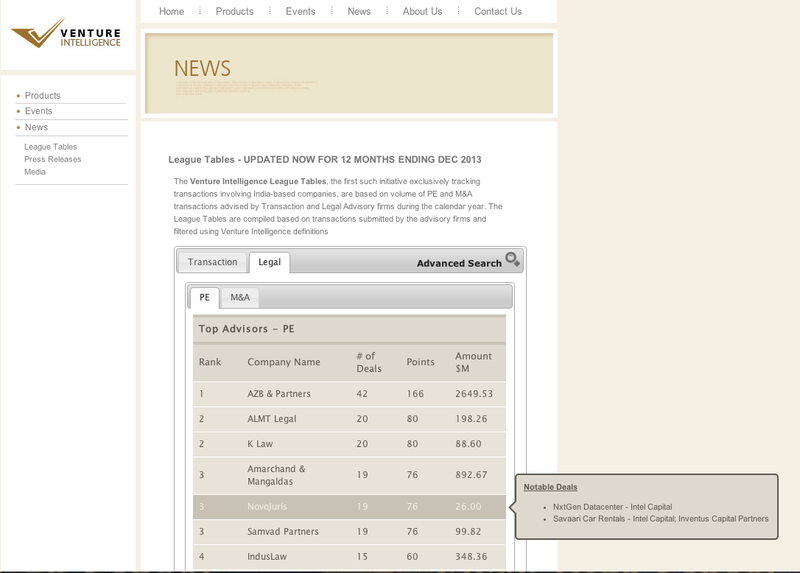 To access the league table, click here. A further analysis of the league table put NovoJuris as No.1 in early stage investments. We take pride in saying that – no one understands startups like we do. This entry was posted in Articles and tagged Early stage investments, law, Law firms on February 4, 2014 by novojuris.